Dressed as astronaut, swordsman, medieval warrior and pierrot, appeared Pepeu Gomes, Lico, Jorginho Gomes, and Carlinhos, the four members of Leif´s group, with two electric guitars, a bass guitar and the drums. They became the band of Caetano Veloso and Gilberto Gil in 1969 and formed The Novos Baianos group in 1970 and recorded several tracks and even movies, in Brazil. Pepeu Gomes was acclaimed by Guitar World magazine, as one of the top 10 best guitarist of world music in 1988, from his solo career and participation in Novos Baianos to many other successful projects, which makes him a one-of-a-kind talent and greatest guitarist in Brazil. 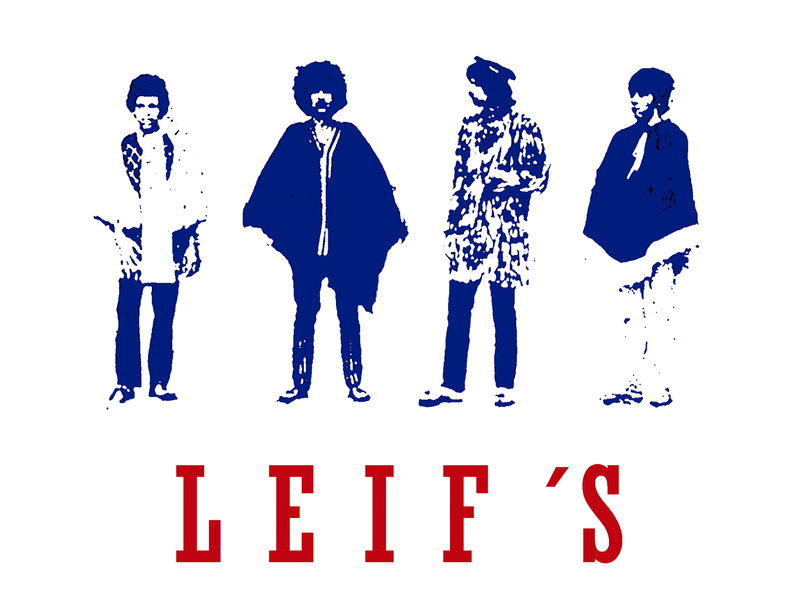 In 1970 with 18 years old, Pepeu Gomes had already recorded as bass player in other groups but when he joined Leif’s, he made a life changing decision to play the electric guitar from night to day, after he first listened to a Jimi Hendrix album. 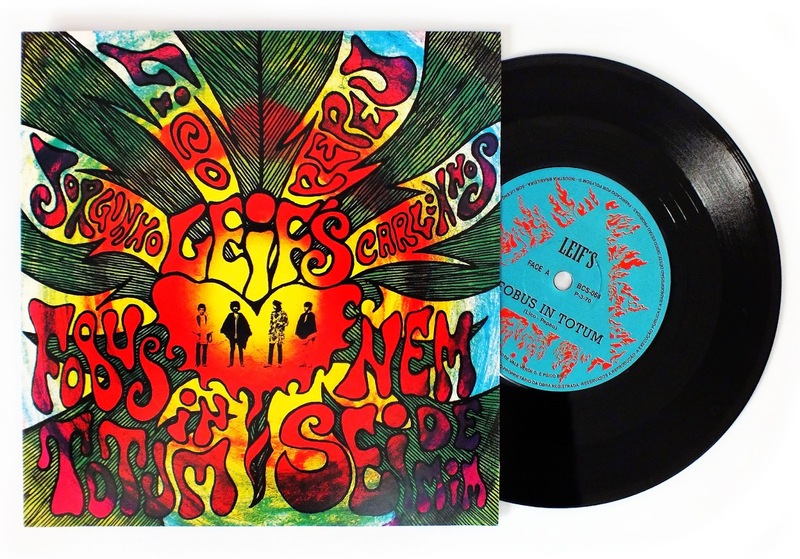 The Leif’s recorded these two hard psych bluesy tracks in 1970, “Fobus In Totum” and “Nem Sei De Mim”, capturing the most powerful stroke of the Tropicalia movement, with organic lyrics, lysergic colors and a “hendrixian” touch in their arrangement. 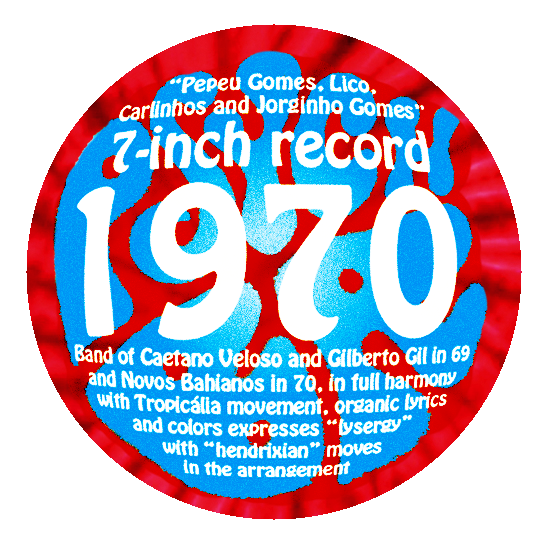 This reissue from Psych BR records comes with a brand new designed cover from which the first didn’t have, also historic and psychedelic inserts plus a fantastic poster from Antonio Peticov and Alain Voss, the Primavera Festival with Leif´s, being a remarkable landmark of what Brazil produced in psychedelia. 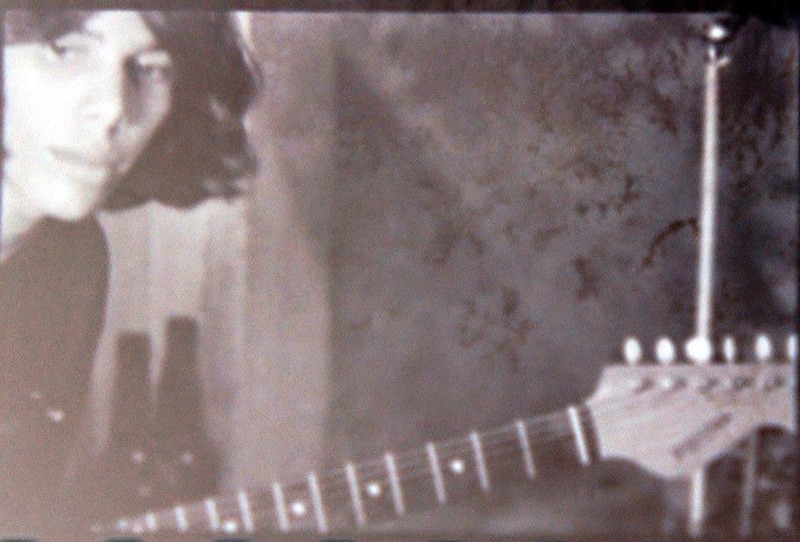 Produced 300 limited copies by Psych BR Records, made at Polysom - Brazil in 2014. How we ship our products? www.psychbrazil.com (authentic products from Brazil). Tema Simples. Tecnologia do Blogger.